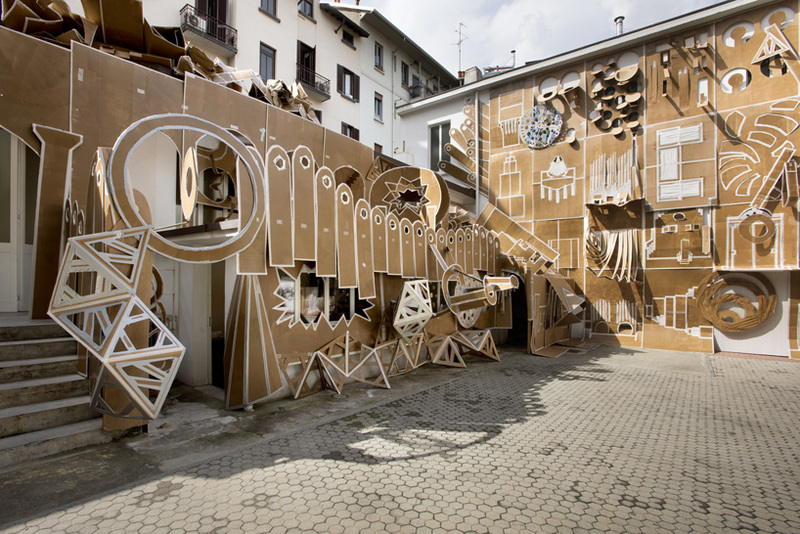 daniel gonzález turns milanese courtyard into an animated, architect..
within milan’s marsèlleria permanent exhibition space, daniel gonzález has transformed the courtyard’s internal architecture into an animated cardboard environment, where a a play of unexpected geometries, textures and motifs surprise visitors encompassed inside. 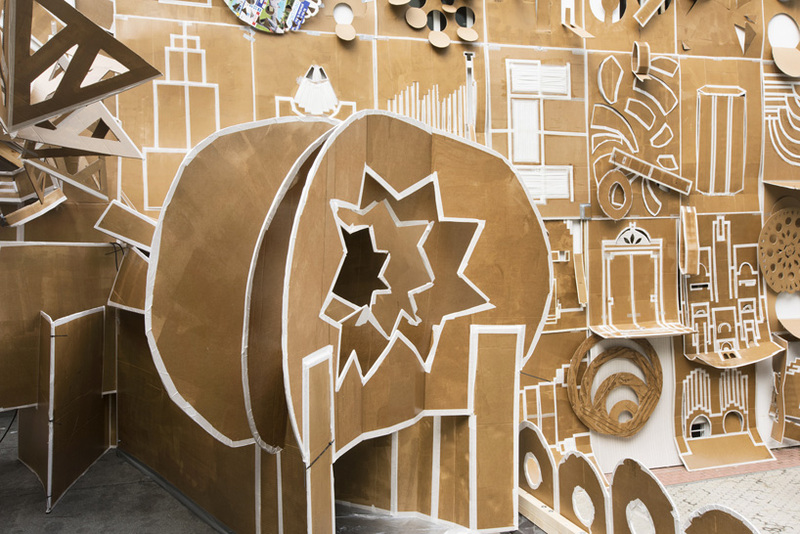 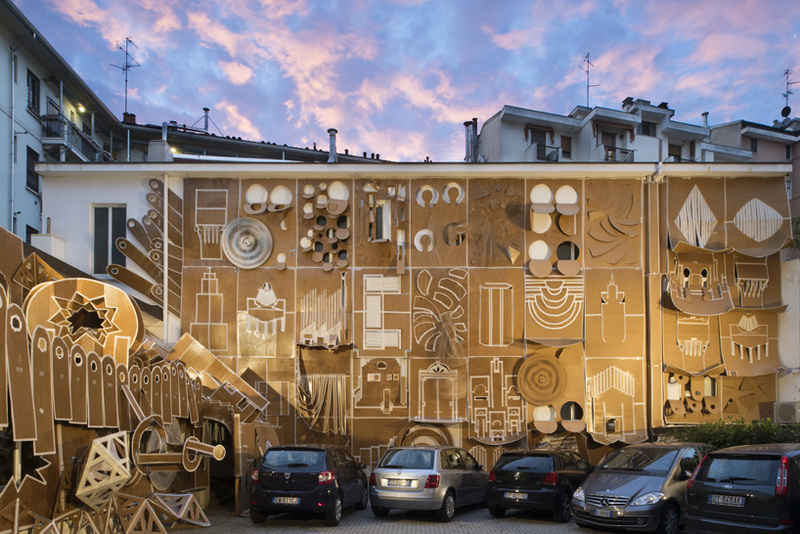 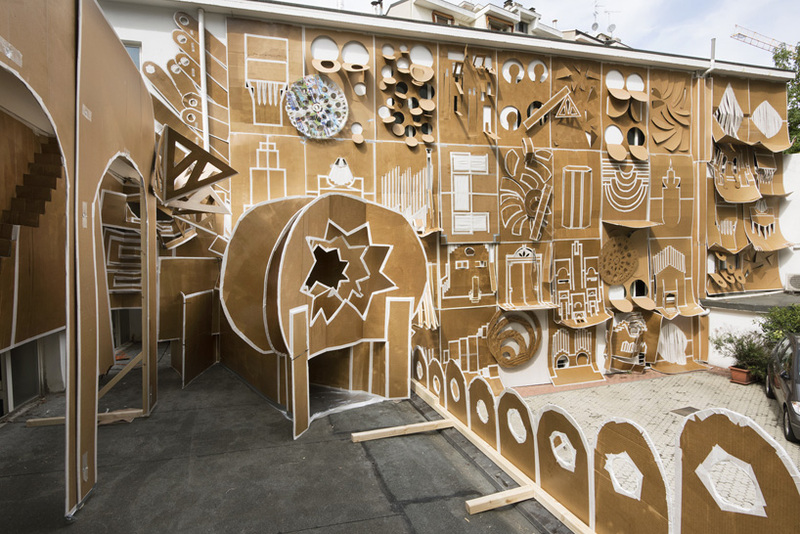 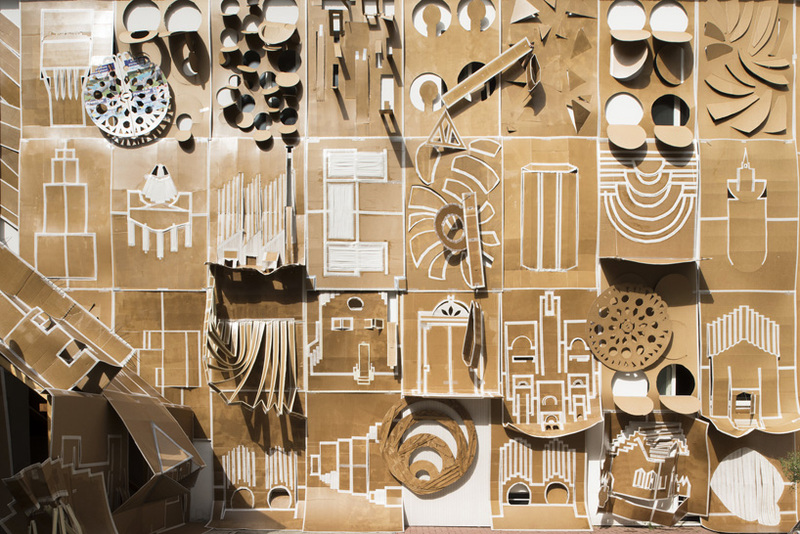 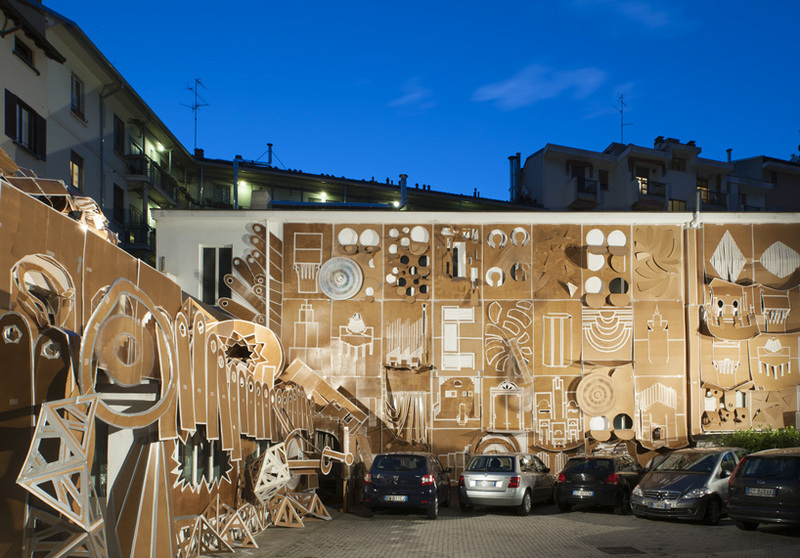 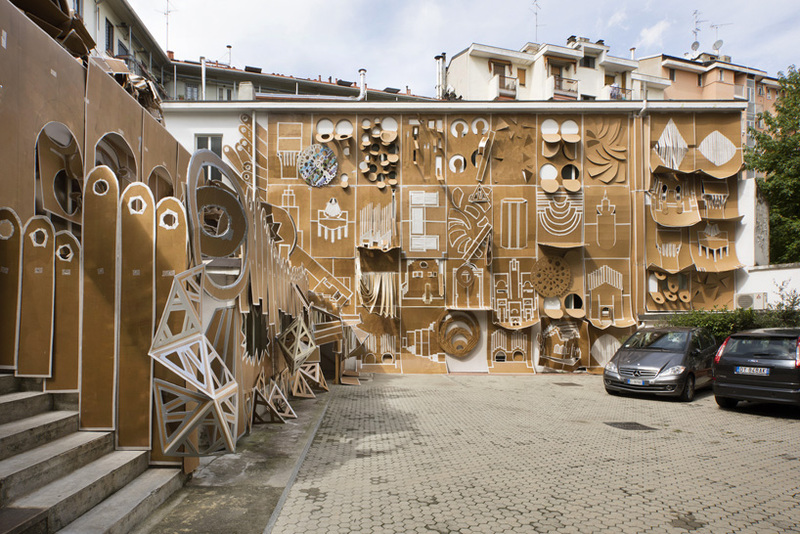 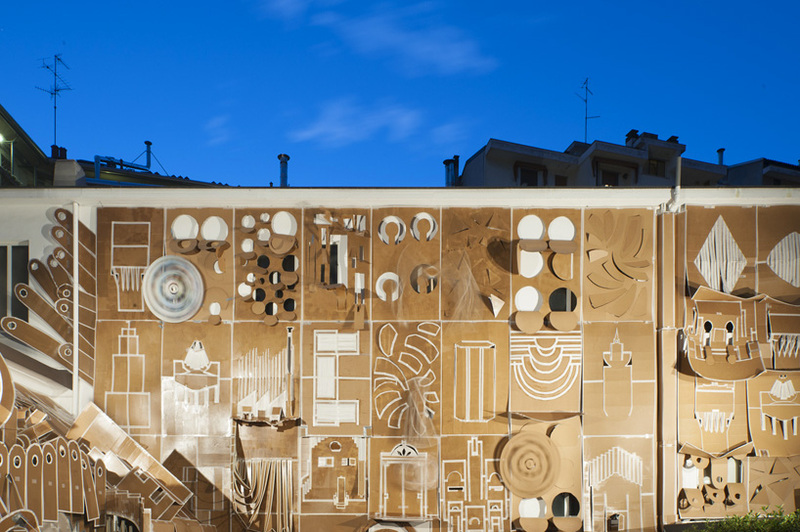 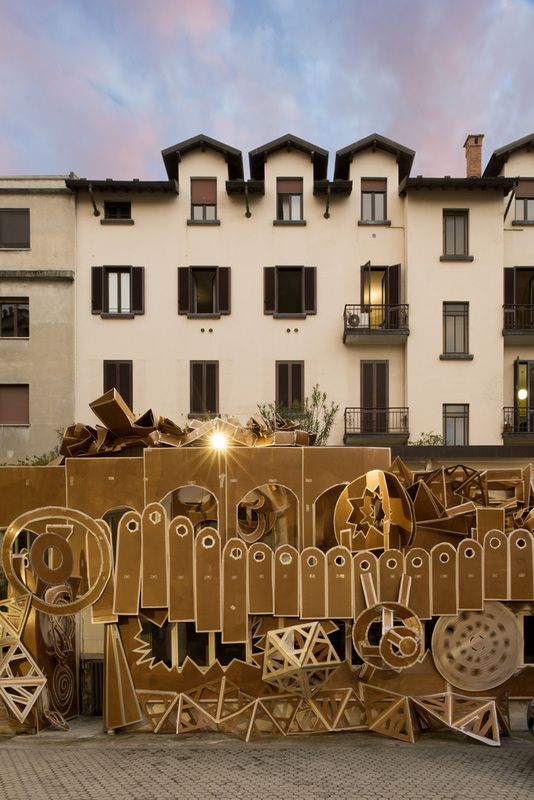 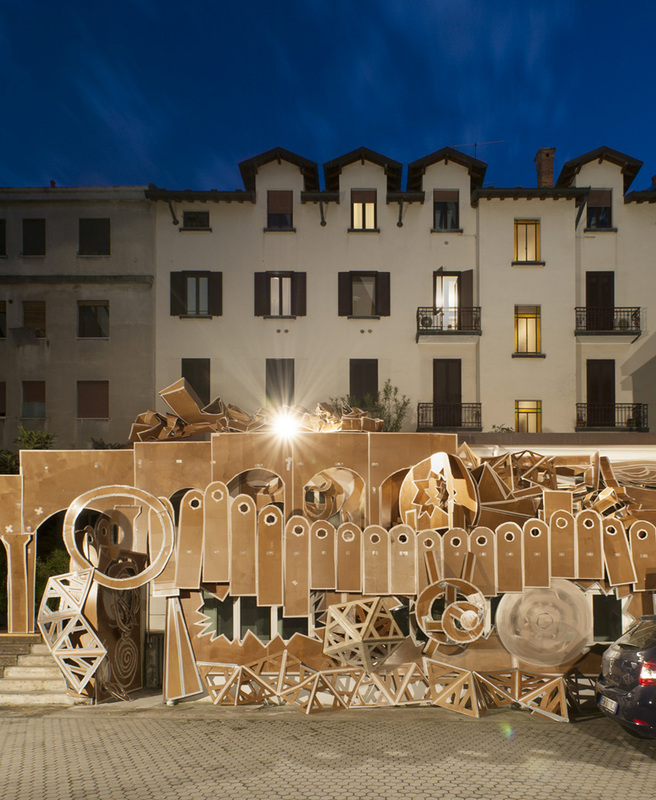 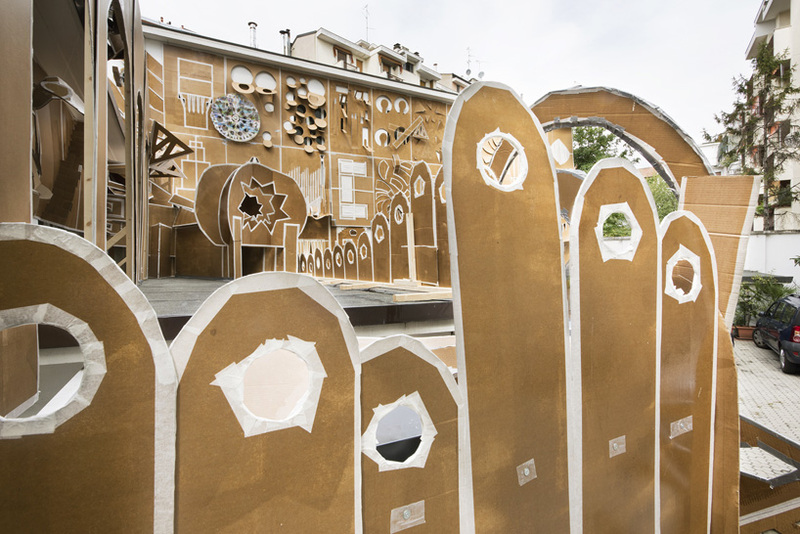 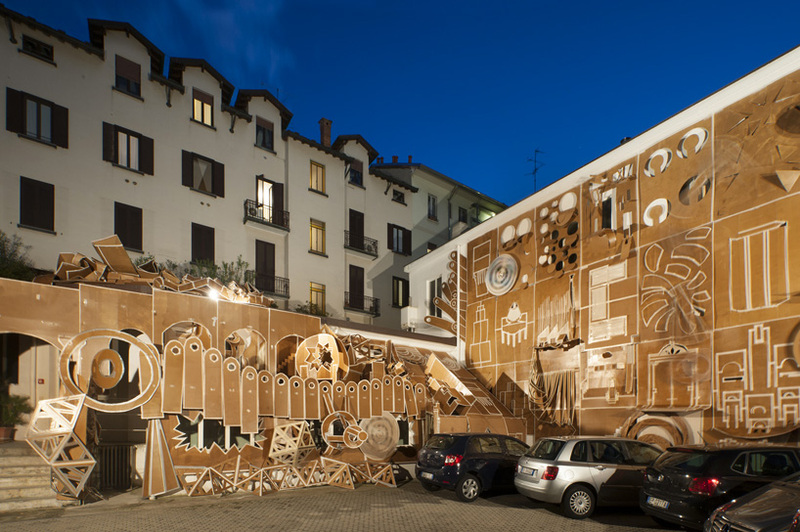 the argentinian artist has built ‘pop-up building milan’ using hand-cut cardboard, tape, zip ties, wood, glue, nylon wires and electric engines, turning the 250 square meter façade into a monumental intervention derived from the interactivity and spirit of children’s pop-up books. 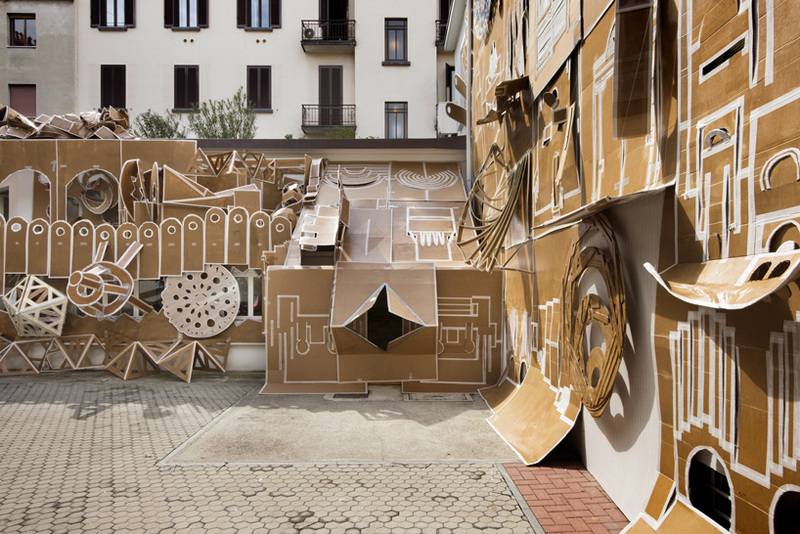 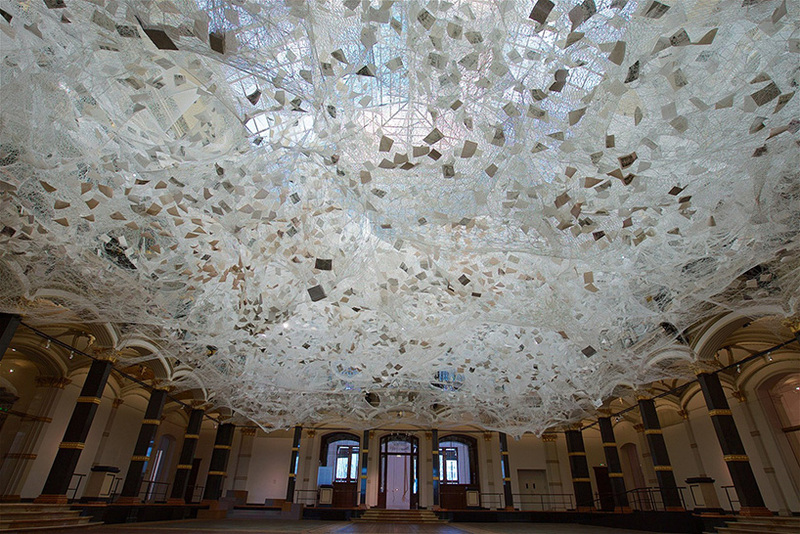 in the making of the ephemeral architecture project, gonzález has adopted techniques such as japanese kirigami (a variation of origami that includes cutting of paper, rather than solely folding it) to form folded lines that extrude from the two-dimensional space of the cardboard sheet. 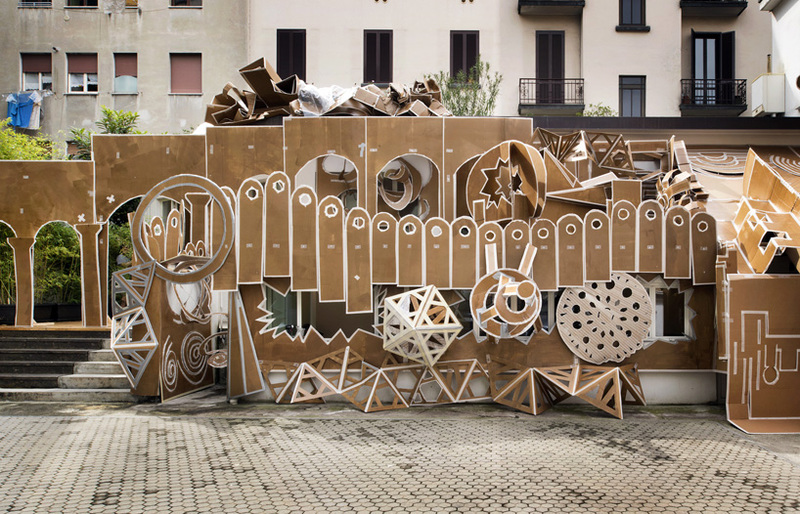 these sculptural paper cuts create abstract interpretations of renowned local landmarks like the pirelli skyscraper, lambrate quarter industries and the torre velasca, as well as escher’s paradoxes and impossible buildings’ projects. 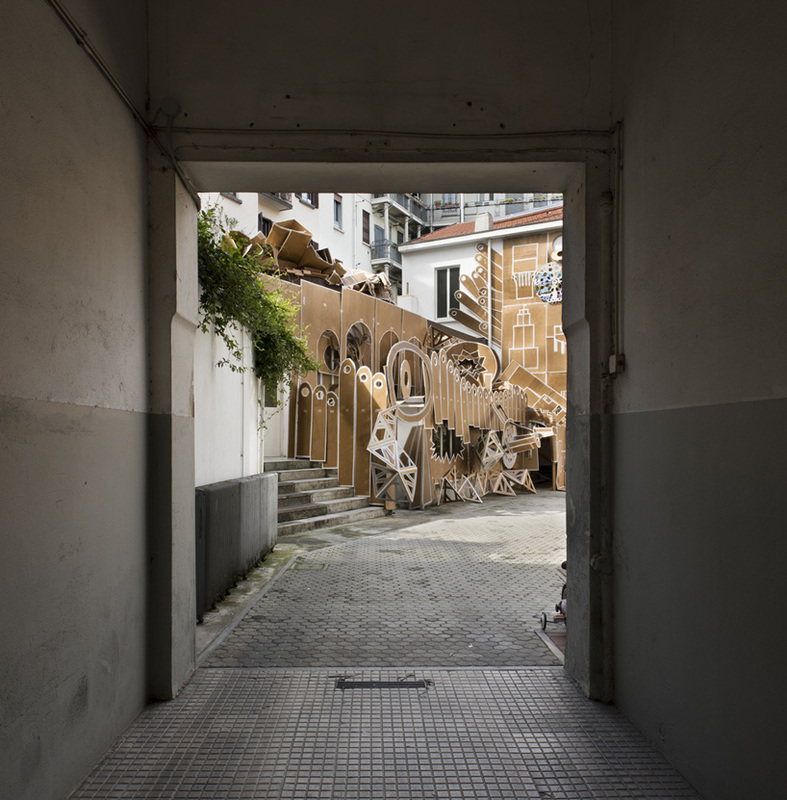 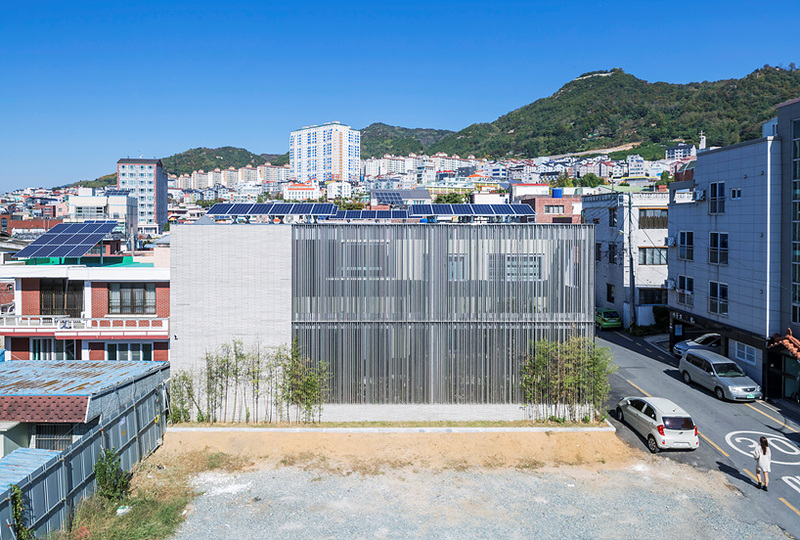 the artistic installation, described by marsèlleria as ‘an architectural model gone crazy — a surreal monument breaking into the urban context’ inhabits the external exhibition space until october 31, 2015. 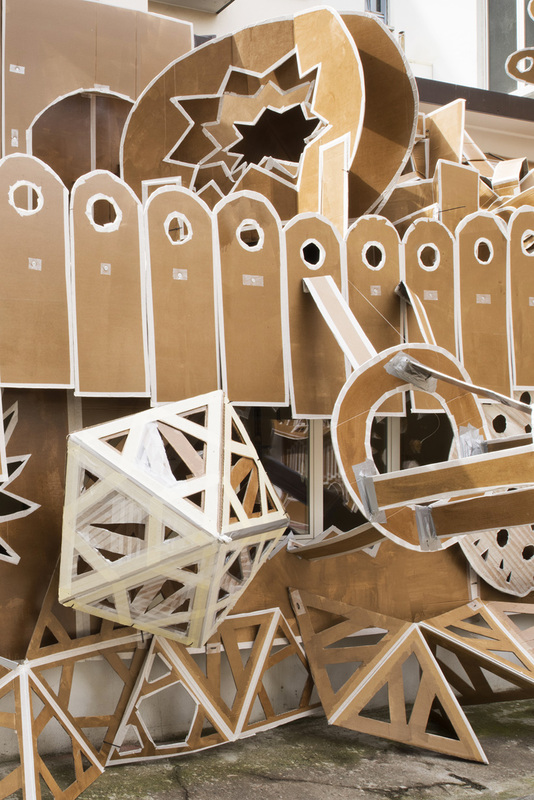 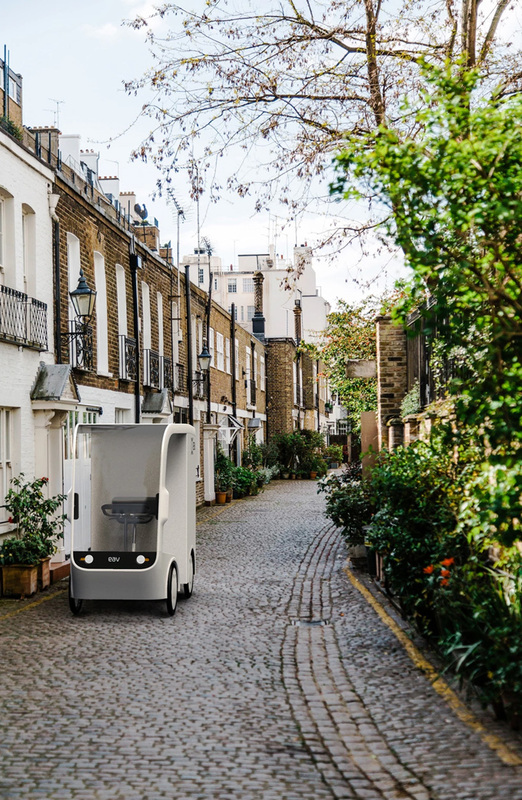 ‘steel grove’ by ar-architects is a family house situated in the dense urban environment of gimh..
from now through until june 16, 2019, berlin’s gropius bau is investigating the concept of craft and handmade processes in the city’s contemporary art scene, taking its history as a fo..
fleets of electric quadracycles boasting an environmentally-friendly design could impact the future of ho..